Being the most popular social platform, Facebook holds billions of users worldwide and keeps the potential to make your videos get the highest number of views and shares than any other sites. Have you ever uploaded a video on Facebook? Did you ever realize that the video you uploaded is upside-down or sideways? You might not want to delete the video and re-uploaded it as it already have got some reactions and comments. If you are having this issue and want to rotate video on Facebook to the correct angle, then you are in the right place. In this article, we will discuss how to rotate videos before or after uploading to Facebook. Keep reading to get all the necessary knowledge along with the steps on how to rotate a video on Facebook. Sometimes you may find problem with the angle of a video uploaded on your Facebook, and want to correct the angle without having to upload the video again. Don’t worry. Just follow the steps provided below to fix the angle issue. Go to Facebook and open your profile page. Find the Facebook video that needs to be rotated and open it. Place your mouse cursor over it and click on the “Options” button that appears at the bottom of the screen. There are two sub-options provided there which reads “Rotate Left” and “Rotate Right”. You can choose either of them to rotate the video by 90 degrees. Please note the whole process might take some time to take effect, which depends on the duration and quality of video to be rotated. Just be patient to rotate video on Facebook to get your desired direction. Rotating will become much easier if you haven’t upload the video to Facebook. Let’s look at the ways below. Download and install Gihosoft Free Video Converter on your PC. Run the software and choose “Convert” to start the rotation work. Click “Add Media” to import video files. If you want to import media files from Facebook, Twitter, Instagram and YouTube, copy the video link and click “+Paste URL”. To rotate the video, click the edit icon to enter the editing window. Tap on “Crop” and then select the rotation options from the menu that opens. Click on “OK” to confirm the operation. Then select the output format you like and click “Convert” to save the video file to your computer. 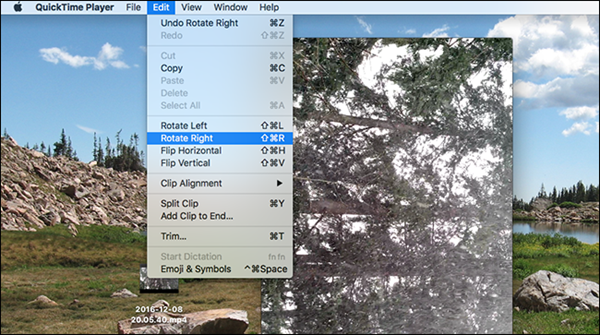 Open the video you want to rotate with QuickTime Player in Mac OS X.
Click “Edit” in the menu bar, you will find the option to rotate your video left or right, flip horizontal or vertical. Now you can click “File > Save” in the menu bar or use the keyboard shortcut “Command+S” to save the video file. Another way to change the rotation of your Facebook videos is using an online service. Here we’d like to recommend the website – RotateMyVideo.net, which lets you rotate videos in a matter of seconds. 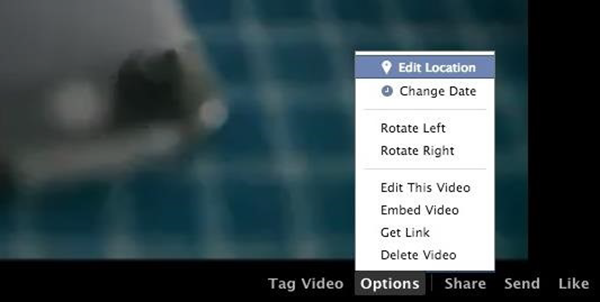 You can choose to post the rotated video to Facebook or YouTube. And your videos are private, which will be automatically removed from the server after a few hours. Visit the website “RotateMyVideo.net” and click on “Pick Videos” from the home page. 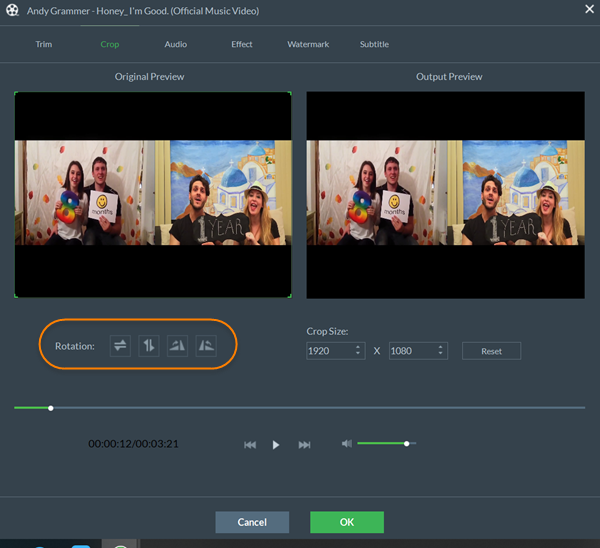 Select the video that needs to be rotated from your hard drive and wait for it to be uploaded. After that click the left or right buttons under “Rotation” to get your video rotated. Once the video gets your desired angle, click “Rotate My Video”. You can then get the video downloaded to your computer or post it directly to Facebook or YouTube as you like.